Where do you start when you want to close Trafalgar Square for Wonder Woman or Westminster Bridge for James Bond? What is being filmed here right now? Where do the movie stars stay? How can you become a movie extra or have your house star in the next Hollywood blockbuster? The London Film tour doubles as a rather fun tour of the great sights of London too because why should the tourists have all the fun! We stop for lunch at Borough Market by the river at London Bridge and the day of our visit is Thursday – a full market day. 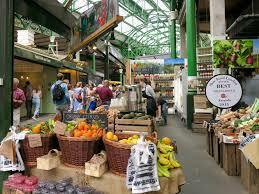 Borough Market was the location for Bridget Jones and is famous for the farmers and food markets. There’s a really good choice of pubs and cafes plus the Southwark Cathedral Refectory among the choices or lunch. Unusually, we have not included lunch on this trip as it would have meant moving away from this interesting market to find somewhere big enough to take a group. 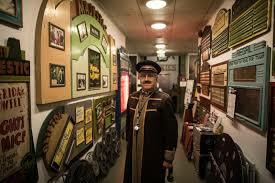 In the afternoon a short hop takes us to the wonderful Cinema Museum housed in an old workhouse in Kennington. The Cinema Museum’s fascinating collection encompasses every aspect of going to the pictures, from the architecture and fittings of cinemas themselves to the ephemeral marketing materials that promoted the films of the moment. It is, of course, very nostalgic. 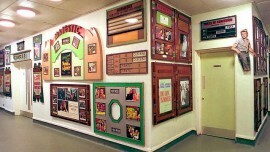 You’ll be taken on a short tour and have time to browse before taking a seat to enjoy some old film clips of old London. There’s a cup of tea included to round off the day before heading home. The cost of this day includes luxury coach transport, morning coffee, your Blue Badge guided tour, entry into the museum with a cup of tea before we leave and, of course, treats.